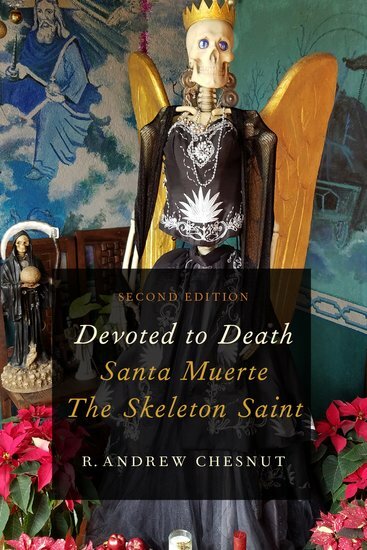 We are excited to announce that the 2nd Edition of Dr. R. Andrew Chesnut’s pioneering work, Devoted to Death: Santa Muerte, the Skeleton Saint, is now available from Oxford University Press! The new edition includes a foreword from co-curator of SkeletonSaint.com, David Metcalfe, overviewing some of the profound changes that have occurred during the past 5 years since the 1st edition was published. Still the only extensive study of Santa Muerte in English, the 2nd edition of Devoted to Death dives even deeper into the mysteries of la Nina Blanca – a must read for anyone interested in the explosive growth and incredible versitility of America’s fastest growing spiritual tradition!